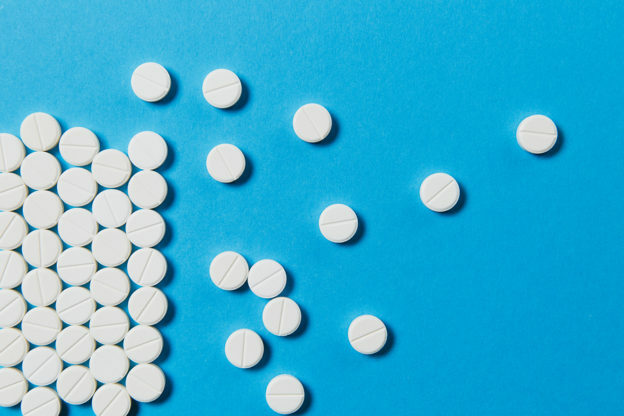 I’ve never agreed with the idea of prescribing low-dose aspirin in an attempt to ward off heart disease. The idea behind the concept is simple. Aspirin works as a blood-thinner. This means it helps reduce the risk of blood clots that could block an artery and cause a heart attack. I’ll admit. It sounds great in theory. And all of those TV commercial ads make aspirin sound like a wonder drug. It’s no wonder my patients often ask me if they should be taking low-dose aspirin every day! But remember. Even though it is sold over the counter, aspirin is still a drug. This means it has side effects. And those advertisements leave out some pretty dicey details that you should be aware of. You see, even after all these years it’s still unclear how much heart protection people actually get from taking aspirin… if any at all. And it has some pretty scary side effects. Over the years I’ve seen more and more proof that low-dose aspirin doesn’t affect the risk of a cardiovascular event one way or the other. Nor does it increase survival rates. At the same time, the evidence of horrible side-effects is overwhelming. I’ve often witnessed some of these effects in new patients who wander into my office when their own physicians discount their symptoms. And they aren’t pretty. Gastrointestinal bleeds are at the top of the list when it comes to daily aspirin use. And I’m not talking about a tiny little ulcer. In many cases, these bleeds are so awful that patients may require blood transfusions. If aspirin was just discovered and attempted to come on the market today, it wouldn’t happen. Even worse, daily aspirin use can put you at greater risk of intracranial hemorrhage. This is something that happens when a blood vessel in your brain ruptures. As the blood leaks into the surrounding tissue, it starts killing off all-important brain cells. And believe me. It’s not something you want to experience. So as far as I’m concerned, there is absolutely no reason anyone should take aspirin on a daily basis, low-dose or not. You’ll never catch me doing it! If you or your doctor has a concern about blood-clotting issues, there are several healthier and more effective ways to help keep your blood nice and thin so it flows easily through your arteries. For example, garlic contains compounds that help keep your blood cells from sticking together. This means improved blood flow and less chance of clotting. It also helps to prevent oxidation of LDL cholesterol, lowers blood pressure and protects against free radical damage. So it’s definitely a heart-healthy food. I like aged garlic like Kyolic …if eating it is an issue for you or others around you. Begin with 400-600mg twice daily with meals; if you find one with nattokinase even better. Ginger is another winner. In fact, it contains compounds that have even more anti-platelet activity than aspirin does. It is anti-inflammatory and works extremely well as a blood thinner in patients with heart disease and diabetes. You can buy the whole root or look for it in jars. It comes pickled, unpickled, sliced and minced. Or, you can try a ginger supplement. Gingko Biloba is another favorite of mine. It interferes with a chemical in your body that causes blood platelets to cling to the walls of your blood vessels. Try a gingko biloba tea, or supplement with 120 to 240 mg daily. I also recommend eating foods high in nitrates to help your body produce a gas called nitric oxide. This compound “invigorates” your blood vessels. This not only helps keep your blood platelets from clumping together. It also lowers your blood pressure and protects the delicate inner lining endothelium of your blood vessels. Some high nitrate foods include beetroot, kale, melon, celery and lettuce. However, the quickest and most effective way to produce more of this compound is with a nitric oxide enhancer. Look for a plant-based formula that has beetroot juice as its main ingredient. These formulas vary from one manufacturer to another, so make sure to choose the one that gives you the biggest bang. Important! If you’re already taking a blood thinner, these foods may interact with it to make your blood too thin. So it’s extremely important not to eat them if you’re on Coumadin, Heparin, Xarelto, Plavix, Eliquis… or whatever new blood thinner appears on the market. McNeil JJ, et al. Effect of Aspirin on Disability-free Survival in the Healthy Elderly. N Engl J Med. 2018 Oct 18;379(16):1499-1508. Saito Y, et al. Low-Dose Aspirin for Primary Prevention of Cardiovascular Events in Patients With Type 2 Diabetes Mellitus: 10-Year Follow-Up of a Randomized Controlled Trial. Circulation. 2017 Feb 14;135(7):659-670. Ridker PM, et al. A randomized trial of low-dose aspirin in the primary prevention of cardiovascular disease in women. N Engl J Med. 2005 Mar 31;352(13):1293-304. Makheja AN, et al. Antiplatelet constituents of garlic and onion. Agents Actions. 1990 Mar;29(3-4):360-3. Bordia A, et al. Effect of ginger (Zingiber officinale Rosc.) and fenugreek (Trigonella foenumgraecum L.) on blood lipids, blood sugar and platelet aggregation in patients with coronary artery disease. Prostaglandins Leukot Essent Fatty Acids. 1997 May;56(5):379-84. Nurtjahja-Tjendraputra E, et al. Effective anti-platelet and COX-1 enzyme inhibitors from pungent constituents of ginger. Thromb Res. 2003;111(4-5):259-65. Are Your Arteries Under Too Much Pressure? This entry was posted in Heart Health and tagged aspirin for heart disease, bleeding risks and aspirin, does aspirin cause brain bleed, does aspirin prevent heart attack, does garlic thin blood, gi problems with aspirin, natural blood thinners, natural ways to avoid blood clots, should I take an aspirin a day on November 12, 2018 by wellness.